I am 56 years old male who up until now was extremely skeptical of any medical procedure that did not involve drugs, doctors or surgery. After experiencing a severe attack of sciatica in which I was treated by 3 different doctors and prescribed 6 drugs with very little results, I turned to acupuncture. I underwent approximately 16 acupuncture treatments with astonishing success and am completely recovered from my sciatica. I am now completely convinced that Traditional Chinese Medicine, acupuncture in particular, is a safe and effective procedure. I give my gratitude and highest recommendation. - R.K.
During a visit to see Dr. Hill at Women's Wellness Center, I picked up a brochure on acupuncture and Chinese herbal therapy and was intrigued. I have friends who use acupuncture as a form of treatment for back spasms and chronic pain, but I had no idea it could be a form of therapy for tobacco cessation. When I finally decided I was ready to quit and didn't want to trade one addiction for another, (i.e. nicotine replacement therapy) I decided to give it a try. Gina was very upfront about the treatment and the commitment required for successful completion and I felt encouraged by her enthusiasm. I was a 30 year smoker who began the treatment on a Monday and by the end of the week I was amazed when I realized that I was no longer even thinking about smoking. I just completed my therapy and I have no doubt that I'll be able to remain smoke free thanks to Gina and her encouragement. If you're seeking an alternative treatment that doesn't replace one habit with another, I would highly recommend acupuncture.....it's painless and actually relaxing! Thanks very much to Gina and Women's Wellness Center for offering this great alternative therapy! - P.B. For the past several years I had suffered from severe pain in my back due largely to poor lifting and bending habits while gardening. While chiropractic and physical therapy helped a great deal, much of the pain remained. I am so glad that I have turned to acupuncture. It has proved to be an excellent solution to constant pain. I feel better than I have for years. - P.P. 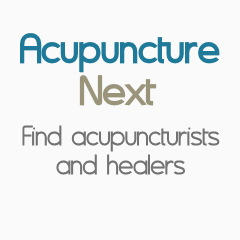 I was new to acupuncture and didn't have any idea how coming to you would turn my life around. Now 2 short months later, I am almost done with my treatments and my body is almost healed. I am so grateful for what you have done for me. I had been in a car accident and dealing with pain for over a year. Living daily with pain had become a tiresome way of life for me. My first visit was right after seeing my chiropractor and I was still in a lot of pain. I remember whincing with pain taking care both when I sat down and stood up as both of these things set off the back pain so much. I carefully got onto the acupuncture table, had my treatment, and was so surprised when I got off the table that there was no more pain. It was gone and I couldn't believe it! You explained that the pain would come and go, which it did over the weekend, but was never the intense pain that I had felt. Now 2 months later, it is nothing more than a very faint discomfort and discomfort seems like too strong of a word. It has been such a pleasure getting to know you and I look forward to seeing your smiling face at each of my visits. I give you my highest recommendation and feel good knowing that whoever comes to see you will get the best treatment possible. - M.B. Thank you so much for your help! It is amazing the relief I have felt not having the pain in my hands. I knew that one thing had led to another in what was causing the pain, but you really have changed my whole body. The pain in my thumbs were from my neck being so bad and the difference is 95% better in just 2 weeks. You listened to what my problems were and solved it, where I have just been medicated and not solved before. Thank you from a dedicated patient. - L.G. After going to my Chiropractor for 3 months for back, shoulder and neck pain and also suffering from years of a dermatological condition that creams and ointments did nothing for, I came to see Gina on my daughter's recommendation. Several treatments later, my back, shoulder and neck pain were a lot better, Also the herbs that Gina prescribed to me reduced the dermatitis significantly. I am now finished with my series of treatments with no more pain and the dermatitis is completely gone. I am 68 years old and now enjoy gardening, biking, hiking and camping again, thanks to Gina. - B.M. Gina is awesome!!! The combination of herbs and acupuncture is making the pain go AWAY. All my life has been plagued with pain during that "special time of the month" but now I can breath easy knowing I can be functional and sane all month long (well I keep a little insanity around just for the fun of it! never know when it will come in handy.) And Gina makes her work look effortless in a way that only happens when someone is a master in her field. Thanks Gina. - D.G. I began meeting weekly with Gina for acupuncture in early May of 2011. On the very first visit Gina made me feel at ease. She took my pulse and was able to figure out the best treatment plan based on that and my medical issues. I was shocked that I was actually very relaxed during the appointment and the feeling lasted well after the treatment. Gina also made a combination of Chinese herbs for me to take as well to help regulate my body. I had only been going in for treatments for about four weeks, when I had blood work done and it showed a slight improvement in progesterone levels. I am an avid temp charter and used my ovulation predictor kit religiously and based on those two things I believed that I might have ovulated after the blood work was done. I continued on with the treatments and taking my temp. The weekend of June 4th I began to have some spotting and thought my cycle was beginning on day 32, which was much better than the previous cycle that lasted 42 days. The spotting stopped, and I thought that maybe it was a light period and called the doctor’s office to see if I should start my Clomid yet. They said to take a pregnancy test first. I thought they were nuts but did so anyway. Four positive tests later, I called the doctor’s office and set up blood work to confirm. The blood work also showed I was pregnant! After a year and a half of trying with no luck, no regular cycle, and never ovulating I was pregnant, and I can say with my whole heart that I believe it was the acupuncture and Chinese herbs that made it possible. When I went in for my next acupuncture appointment the following day I told Gina, and she took my pulse and sure enough I had the pregnancy pulse. I think if we had continued on with the “traditional” medical path we would still be trying with no luck to conceive, acupuncture really made the difference for us." - L.M. I wanted to drop you a note to tell you how much I appreciate your knowledge of and skills in the art of acupuncture. As I have told you, my colleagues in the Department of Family and Community Medicine at the University of Missouri were mixed in their assessment of whether or not acupuncture would help with my neuropathy in both feet, a side effect of six chemotherapy treatments. And then, an oncology social worker, Dr. Denise Swenson, a former student of my wife, was aware of cases in which acupuncture made a significant difference in neuropathy due to chemotherapy. So, although not fully convinced, I nevertheless chose to try it. I can't begin to thank you enough for getting me started and for continuing acupuncture treatments. My feet are 50% better, which is huge when you consider they were previously numb, tingled, and caused me to stumble often. I now have feeling in both feet, I have much improved balance, and I am beginning to think the neuropathy will go away. It is difficult to describe what it means to a person with terminal cancer to have the body rid of the many side effects of the chemotherapy designed to treat it. This is especially true of the feet, a constant daily reminder of the ordeal caused by the cancer shrinking and cell-killing chemicals. At any rate, thank you for your treatments, I am glad that I made that first appointment. - D.O.